Our HP trained printer service technicians provide express HP printer service & repairs covering Brisbane, Gold Coast & The Sunshine Coast. When it comes to servicing your HP printer there is only one choice in Brisbane. We offer HP printer servicing from $89+gst with no call out charge. We specialise in HP Laserjet service & repairs, HP Officepro service & repair. 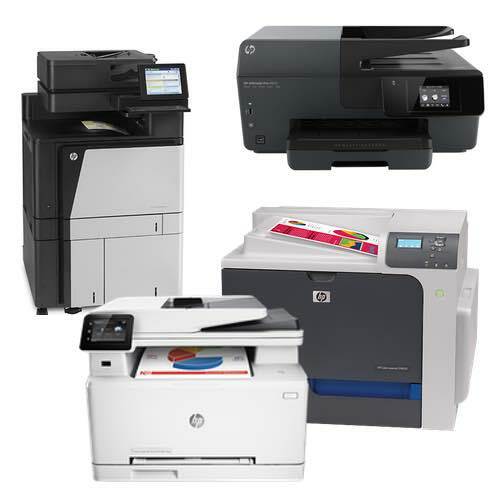 Furthermore we service the entire range of HP printers, MFP's, MFC's & Copier range. We carry the entire range of authorised HP printer spare parts & toner & ink. Whether you require general maintenance on the office HP laser Jet or a quick printer repair for your HP Inkjet printer our specialist HP printer team are here to help offer free advice. Call our office based in Brisbane to speak with your HP service centre now. Get Your HP Printer Serviced Now! "Lowest hp printer service & repair Prices Guaranteed"
Complete The Below Form To Receive Your No-Obligation HP Printer Service Repair Quote Now!